Born in Ohio, USA, Dr Dennis Trent began his career in the United States Air force in 1964. He left the Air Force in 1984 after a number of different postings including David Grant Medical Center, Travis AFB, Iraklion Air Station in Crete, Greece and Ehrling Berquist Medical Center, Offutt Air Force Base, Nebraska. He completed his Bachelors Degree in Psychology at Chapman College, Orange, Ca, USA, in 1979 and his Masters Degree in Counseling Psychology in 1981, again from Chapman College. He left the Air Force to purse his PhD, completing it at the University of Nottingham in 1988. He has a wide variety of clinical and academic experience including being Past Director of the Mental Health Promotion Unit at University of Keele, and a founding board member of the Clifford Beers Foundation (a charitable organisation dedicated to the promotion of mental health and the prevention of mental illness). 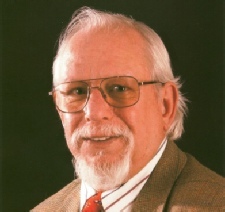 In addition to being Founder and Director of Midlands Psychological Services, he is a Past President of the International Council of Psychologists (ICP), an NGO under the United Nations, and has served on their Board of Directors as well as Chairman of their Long-Range Planning Committee and Editor of the International Psychologist, the ICP newsletter. Dr Trent is a Chartered Clinical Psychologist and an Associate Fellow of the British Psychological Society. He provides expert reports in the field of child protection/custody issues, pre-sentence reports, risk assessments, Fitness to Plead, Learning Disabilities and other court related psychological assessments. He has lectured at Nottingham, Loughborough, Keele, Birmingham and Wolverhampton Universities as well as guest lecturing in South Africa. He has widely published in the area of Mental Health Promotion and has presented at numerous Conferences nationally and internationally. He is a member of the British Psychological Society, the American Psychological Association, the Royal Society of Medicine and is certified with the Health and Care Professions Council, and as such maintains the highest standards of professional ethics guaranteeing a standard of service, which is both professional and accountable.